Double Digit Gains for Quadrant 4 System! The double digit gain Friday by Quadrant 4 System (NASDAQ: QFOR) is yet another reason to read stockdesk.com! An article, “Quadrant 4 System is a Small Cap for Growth and Value Investors” ran on this site last week. On Friday, Quadrant 4 System soared by 13.16 percent. 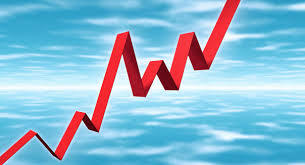 It far outdistanced the Dow Jones Industrial Average (NYSE: DIA) and the Standard & Poor’s 500 Index (NYSE: SPY). Quadrant 4 System is a small cap in the information technology sector. But unlike many small caps in high tech, it books a gross profit. It also has revenues increasing at a rate of 39.40 percent on a quarterly basis, according to Yahoo! Finance. Its annual revenues are very close to being equal to the market capitalization of the stock. Those are very compelling numbers for both growth and value investors! What obviously produces revenues is clients. Quadrant 4 System has a very impressive client base. It includes Wal-Mart (NYSE: WMT), Walgreen (NYSE: WAG), Ford (NYSE: F), Alcoa (NYSE: A), and many other blue chip corporations. For investors, it is always comforting when the clients of a small cap can be followed in The Wall Street Journal on a daily basis. Even more compelling is that Quadrant 4 System has an industry leading attrition rate: clients like the work and come back for more! In addition to a blue chip client base, Quadrant 4 System has a strong following in the analyst community. It is very difficult for a small cap to obtain analyst coverage. The Wall Street research firms have limited resources and choose to focus on only the most promising stocks. At this time, there are three analysts following Quadrant 4 System. All have issued very positive recommendations for Quadrant 4 System. Any publicly traded company that posts a gross profit with growing revenues deserves a closer look. Those who did that last week with Quadrant 4 System after reading the piece on stockdesk.com were rewarded with a double digit gain on Friday. Based on the recommendations of three analysts, there should be more ahead for Quadrant 4 Systems. It is a very alluring small cap for growth and value investors.